There's a very big and largely unanswered question looming over medical equipment device manufacturers today. Will medical device sales be taxed at 2.3% beginning in 2013, and which devices will be taxed? We've wondered for a while now if CPAP devices will be taxed. Even though the IRS has written their final rules on implementation of the tax, the rules are still quite vague and leave open the possibility that manufacturers of CPAP machines, masks and other CPAP devices may be taxed at a rate of 2.3% of total revenue. As part of the 2010 Patient Protection and Affordable Care Act, more commonly known as Obamacare, Congress approved a 2.3% tax on revenue of medical device manufacturing companies. This tax was built into Obamacare as a way to subsidize the program, with the tax fueling the program to the tune of $20 to $30 billion per year. This tax was certainly an easy way to fund a big chunk of the program, but like a lot of legislation that isn't fully understood by lawmakers initially, there are invariably negative unintended consequences resulting from the legislation that will have long-lasting negative repercussions unless the issues are addressed. Former House Speaker Nancy Pelosi famously said, "We have to pass the bill so that you can find out what is in it..."
You certainly can't accuse the former Speaker of being a woman of inaction. Her view is certainly one way to look at the act of creating laws, but it's clearly not always the best way to look at it. One of the biggest questions surrounding the tax now seems to be the uncertainty surrounding its fate. Will the tax actually survive the scrutiny of Congress now that everyone knows a little bit more about how crippling this type of tax can actually be on manufacturers, or will the tax be repealed? With both Democrats and Republicans on capitol hill fighting to get this controversial and this universally unwanted tax removed from Obamacare, the date of implementation is fast approaching, and medical device manufacturers are looking for answers. In my opinion, it's extremely unlikely that this tax will be repealed from the Affordable Care Act before the end of 2012, but that's what the majority of lawmakers and the medical device industry are hoping for. Since this is not a partisan issue in Congress it's something that our lawmakers should be able to get done before 2013. Even so, it still seems unlikely since we're just two weeks away from 2013 at the time of this writing. "This is a good question. How HME device manufacturers will be affected, and to what extent (meaning which products) was unclear in the proposed rule and the final rule has yet to be released. We, as well as other stakeholders, submitted comments and questions during the open comment period which should be answered when the final rule is published. We do not know when that will happen. Coincidentally, the final rule from the IRS was published on December 5 (a day after I received this response from the manufacturer) but as I mentioned before even the final rules are somewhat ambiguous. From reading the rules myself, I know as a fact that there will be many questions left for companies like Philips Respironics. According to the IRS guidelines there are some rules that exempt devices that are sold directly to end users, and for devices that can be used by end users without instructions. These are part of the so-called "retail exemption". To me, CPAP machines and masks would definitely fall under these exemptions, but since specific devices aren't listed and no specific examples are given, it's still hard to know for sure what will be taxed and what won't. It seems clear from the rules that devices which aren't primarily intended for end users or that aren't sold to end users will not be exempt. Whatever the case, I haven't received an update from Philips Respironics. I'm sure they're busy trying to understand how the new law will affect all the products they manufacture. If it turns out that CPAP machines and mask sales are taxed under the new law, manufacturers around the nation will almost assuredly have to raise the prices of their CPAP equipment to cover the new expense. If taking that action slows sales, they may have to make personnel changes. Any cost increases will be passed along the sales channel to the end user. You. Looking at the medical device industry as a whole, this new tax will, of course, have the effect of increasing the overall cost of healthcare in the US and may very well put the US at a disadvantage in terms of trade with other countries and innovation of new devices. New medical device startups may flounder having to pay taxes on revenue without ever making a profit. The consequences of the tax could be dire. On the other hand, proponents of the tax - no matter how few or far between - would argue that that the $20 to $30 billion dollar per year cost to the industry will be offset by a greater demand for medical devices, since more people will be insured under Obamacare. Not a bad line of reasoning, except that it's completely unsubstantiated and a guess at best. Even if there were to be somewhat of an offset due to a greater demand for medical devices - whether those devices are ultra sound machines, MRI machines, or CPAP machines - the increased demand wouldn't be immediate. No matter the demand, one thing remains true: if the tax is implemented the cost of doing business will go up, and that cost will be passed along to customers of medical device manufacturers, or it will be recovered by laying off employees. One way or the other, the manufacturers WILL recover the cost of the tax. Obviously, I'm not a big fan of this tax because I think it's unnecessarily punitive to the industry, I believe it will lead to higher healthcare costs for everyone, and because I believe it has the potential to negatively impact job growth. The good news is that most of Congress feels the same way. Even if we can't delay implementation or get the tax repealed before January 1, 2013, hopefully Congress will take up the issue early in 2013. We'll see what happens shortly. I hope the outcome is positive for manufacturers, their employees, and ultimately for you. 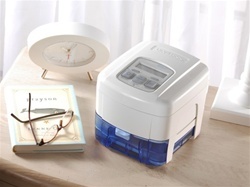 Let us know if you have any comments or questions about this topic, or about any of the CPAP equipment we sell. We'd be happy to talk with you. DeVilbiss IntelliPAP AutoAdjust with Humidifier - Will This New Tax Increase the Price?